Looking for a Job? New Library tool can help! For new graduates and other job seekers, help has arrived! Job & Career Accelerator, a comprehensive online job search system, is now available to help graduates from the University of Toledo launch a new career. This innovative online resource provides UT job seekers everything needed to find career enhancing jobs, all in one easy-to-use application. The online program is a new feature in LearningExpress Library and is available to all Ohioans at no charge. Job & Career Accelerator™ can be accessed for three months after graduation from any Internet-enabled computer by going to http://www.utoledo.edu/library/ and searching our library catalog for LearningExpressLibrary.com. The Job & Career Accelerator™ is paid for through a federal Institute of Museum and Library Services LSTA grant awarded by the State Library of Ohio. 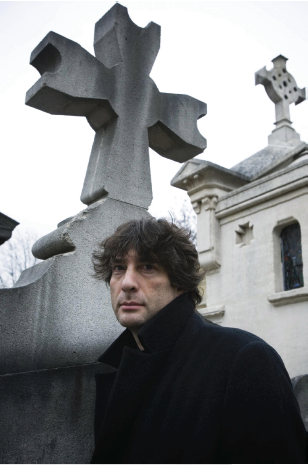 To celebrate National Library Week, come to the library to watch author Neil Gaiman speak from the University of Minnesota via webcast. Neil Gaiman will be speaking about his lifelong love of libraries and the role they play in a democratic society by supporting intellectual freedom and privacy. This webcast is sponsored by the American Library Association, HarperCollins Children’s Books, Internet2, the University of Minnesota, and the Jessamine County Public Library. Where great books meet great conversation! The International Book Club events focus on selected international authors and their books to discuss them with fresh new ideas and perspectives. The events attempt to create a community around the books that have made an impact on us, and allow us to think of ways to use the lessons we take from these books in support of learning. Click on the cover below to request a copy from OhioLINK. Sponsored by the University Libraries. The University of Toledo Libraries are conducting a short survey to find if we are meeting the information needs of UT faculty, staff and students. We would greatly appreciate you taking the time to complete our 5 minute survey. We welcome your feedback! When you do a search in the library catalog, you can often link out to more resources on the same topic. Just do a search like you normally would, and then click on the ‘More Resources’ button to the right of the title. Connecting to a Library Guide developed by our own librarians for more research ideas. Use the ‘More Resources’ button to expand your research today!